This geocache can be accessed by parking at the Fred E. Brooks Memorial Arboretum. You will cross the foot bridge into the main entrance, and follow Dragon Draft Trail. 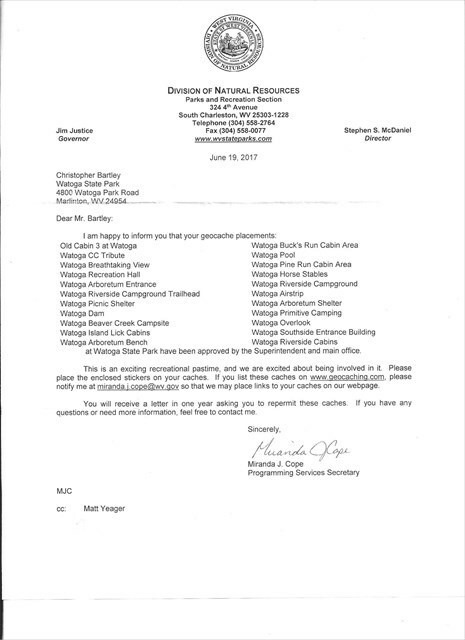 Approval LetterThis letter from the Department of Natural Resources approves the placement of the geocache at Watoga State Park.